Today's So Shoe Me is the Icy Light by Jeffrey Campbell, $260, available at Solestruck. 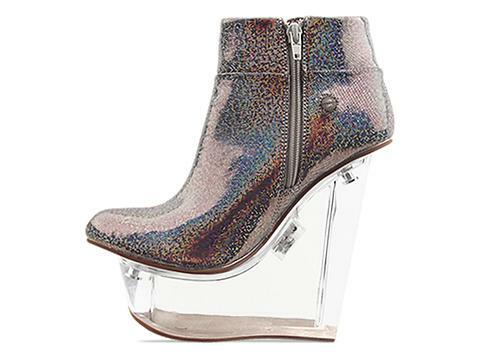 Deliver disco dreams and hot holographic heat in these light up heels by Jeffrey Campbell. Galactic nightclub styling with signature space-age finishes makes these shiny and structural wedges a must-have for now and later. 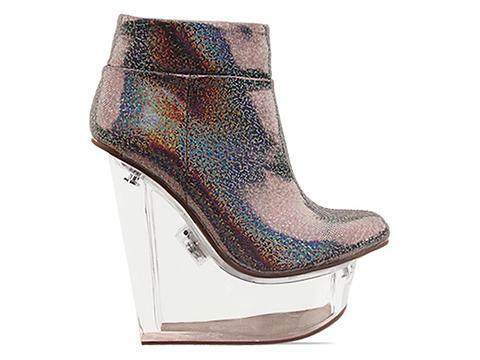 Create a disco daze with a multi-colored light up heel that will add a dazzling light show to your nighttime style. The clear heel adds a glossy modern detail with sky high proportions. Create a futuristic glam rock style by pairing these heels with a Ziggy Stardust tee, diamond printed jeans and a pastel faux fur jacket. 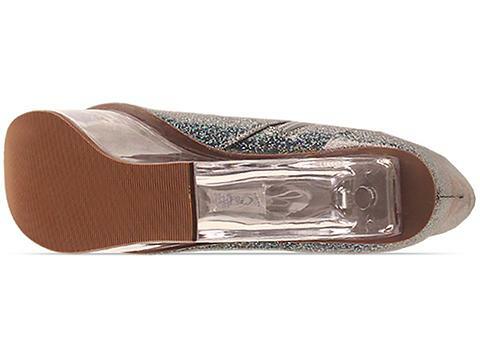 So Shoe Me a pair of light brite wedges with a holographic finish that will add a dazzling light show to my after dark favorites.